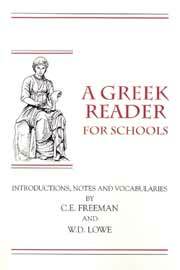 Reprinted by arrangement with Oxford University Press, this reader is a perfect vehicle for students transitioning from a grammar text to reading adapted Greek. The selections are chosen for their accessibility and facility to encourage a quick reading. Excerpts from Aesop to Plato strengthen reading and translations skills while introducing the intermediate student to key works from the classical Greek canon.